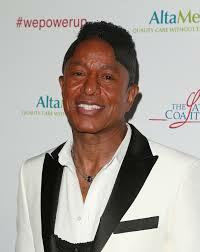 Jermaine Jackson was born on December 11, 1954, in Gary, Indiana, the fourth of ten children. Initially he sang lead and played rhythm guitar in The Jackson 5, but switched to bass and back-up vocals. Jermaine split from the group when they went to CBS but re-joined in 1984 for a successful tour. Having mended a rift between himself and Michael, Jermaine spoke at his brother’s 2009 memorial. After Jermaine and the group won a talent contest held at brother Jackie’s high school, The Jackson 5 began taking their performances more seriously. Jermaine moved from lead singer to back-up singer and bassist after several years as the rhythm guitarist and lead singer. He has a total of nine children, seven sons named Jermajesty, Jeremy, Donte, Jaafar, Jermaine Jr., Jourdynn and Jaimy and two daughters named Autumn and Dawn.